We’ve all heard the saying “first impressions count”. While it may not always apply to the people we meet, it most certainly rings true when it comes to the front of our homes. ‘Curb appeal’ refers to the visual attractiveness of a house as seen from the street and it’s something a lot of us don’t often consider when building, styling or renovating our home. But we should, because it’s one of the easiest ways to add to the overall aesthetic of your home. 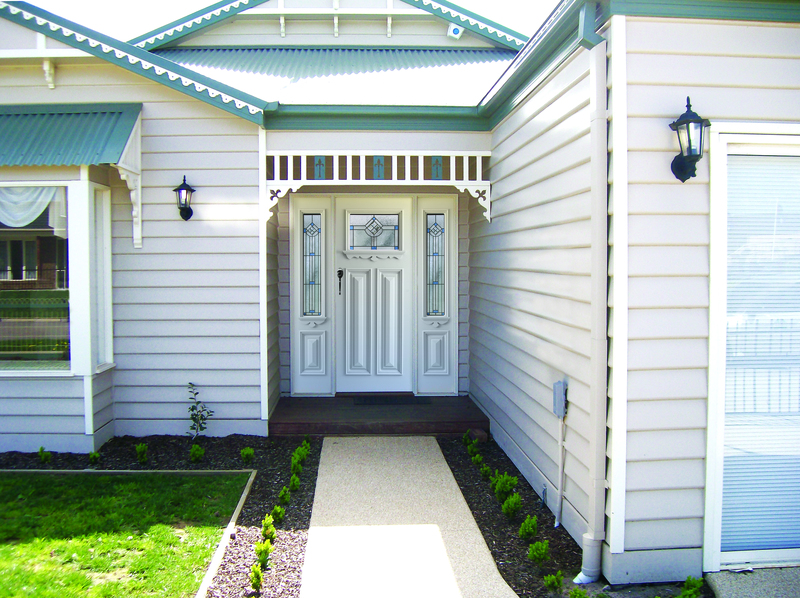 Curb appeal is the first impression your home makes on neighbours and those passing by. We’ve all seen properties with untrimmed lawns and rusty mailboxes and while the interior may be beautifully decorated, we can’t see that past the initial unkempt feeling. Simple yard maintenance and a little TLC will increase your home’s curb appeal, but your choice of front door is often more important when it comes to introducing your home’s personality. You want your front door to reflect the overall design and theme of your home. You wouldn’t pick a grand set of Illusion double doors to open up a classically styled cottage, just as you wouldn’t use the traditional-look Carringbush in a modern townhouse. It seems this would be an obvious factor when deciding on a new front door, but many people fall into the trap of underestimating an entryway’s impact on curb appeal. Colour. If your home is white, picking a bright paint colour might make it pop. Perhaps you’ll decide on a stain rather than paint, but you must consider what will suit your overall theme. Features. There are a variety of choices to make when it comes to door features and fixtures. Would a door knocker or street numbers suit your door? What style of door handle will you use – big and bold or simple and discreet? What about security features like pin-coded locks or keyless entry? Surrounding materials. You want the environment to compliment the door, but not so much so that you’re taking away from it. Will your door step be made up of wood or tile? Is there a path leading towards your home’s entryway? What does the door frame/trim look like? Curb appeal is a big part of your home and it’s made up of a variety of factors. Choosing and styling the right entry door is one of the easiest ways to add style to your home. If this has you inspired to replace an old door, you can learn how here. Or if you’re interested in reading more on giving your door a makeover, check out this blog. Otherwise, contact us if you have any questions or want to know more.